Developed in the late 19th century, basketball has quickly become one of the world’s most popular sports. From professional leagues in Europe to the NBA (both in the American and Australian sense), local, national, and international competitions are extremely common. Although basketball is played at the Olympic Games, the Commonwealth Games remains one of the sport’s premier competitions. Some of the best teams from around the world come together to compete for the coveted gold medal, and with world powerhouses like the USA not competing, the competition is usually much closer than a lot of other major ones. 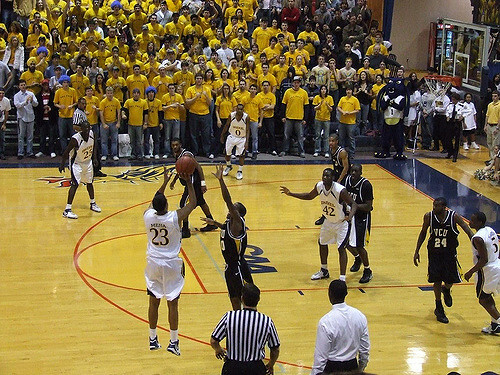 Although it is a worldwide sport played by most countries, basketball has only been played at the Commonwealth Games once in the past, in 2006. It was announced in 2011 that the sport would be returning for the 2018 Games, and hopefully we will see it live on into the future. As the hosts in 2006, Australia won gold in both the men’s and women’s competitions – something they are widely tipped to do again in 2018. In the men’s competition, New Zealand took home the silver medal, while England snatched the bronze from a valiant Nigeria. In the women’s competition the results were, amazingly, the same, with the silver going to New Zealand, the bronze to England, and an honourable 4th going to Nigeria. Who Is Playing In The 2018 Commonwealth Basketball Competition? Australia, England, India, New Zealand, Nigeria, and Scotland, all for the second time, along with Cameroon and Canada making their Games debut. Australia, England, India, Malaysia, Mozambique, and New Zealand, all for the second time, along with Jamaica and Canada making their Games debut. The inclusion of two Canadian teams for the first time is expected to make the competition a lot more ferocious, as they are among the highest ranked teams in the world. When Is The Basketball Competition At The 2018 Games? Pool matches will be played from the 5th until the 9th of April, with the qualifying finals on the 10th. The semi-final will take place on the 14th, with both the gold and bronze medal matches happening on the 15th. The women’s competition is very similar to the men’s. Pool matches will also be played from the 5th until the 9th of April, with qualifying finals on the 10th. The difference lies in the final round, with semi-finals taking place on the 13th, rather than the 14th, and the gold and bronze medal matches being played on the 14th. If you would like to see the full 2018 Commonwealth Games basketball schedule, head over the official Games website. Where Is Basketball Played At The 2018 Games? The 2018 Commonwealth Games basketball tournament will be played in three different cities. Preliminary rounds will be played at the Cairns convention center in Cairns, and at the Townsville Exhibition and Convention center in Townsville. These venues both seat 5000 people, so there is plenty of room for spectators. Finals will take place on the Gold Coast itself, with all finals matches being played at the 5000 seat capacity Gold Coast Convention and Exhibition Center. If you would like to buy tickets to and of the tournament’s games, head over to the official website here. Tickets to the 2018 Commonwealth Games basketball competition can be purchased either through the official Games website, or externally through a third party retailer. Prices start at just $15 per person for children. Adult tickets will set you back a mere $30 per person – an extremely affordable price for a major international basketball tournament. It is worth noting that there is no reason to buy tickets from third party sellers unless the venue is sold out. Don’t pay more than your tickets are worth, and make sure that the tickets you buy are legitimate. Is It Worth Watching The Basketball At The 2018 Gold Coast Games? In short, yes, the 2018 Gold Coast Commonwealth Games basketball competition is not to be missed by anyone who even remotely resembles a basketball fan. With some of the world’s best teams competing, the 11 days of competition will be a week and a half to remember. Expect bitter rivalries between countries like Australia, New Zealand, and England, with friendlier games between lower ranked teams. Who Are We Tipping To Win The Medal? As the home nation and defending Commonwealth Games champions, it would be hard to go past the two Australia teams. However, they will be facing extremely stiff competition from Canada, who is one of the world’s top ranked teams in both the men’s and the women’s game. Expect countries like England, New Zealand, and Nigeria to also come out firing, with every game being worth watching. If you – like me – love watching a good game of basketball, then you would be stupid to miss the 2018 Commonwealth Games. Some of the world’s best teams are converging on Australia’s sunny Gold Coast for the event, and the atmosphere should be electric. So, get online, buy your tickets, and turn up to the Games in your country’s colours. If you are unable to attend live games, be sure to tune into your TV to follow the progress of your team. Good luck to your country, and let the Games begin!